In Partnership with Industry and the Environment - Great Western Containers Inc.
At Great Western Containers, we’re dedicated to offering great packaging solutions that are good for both you and the environment. 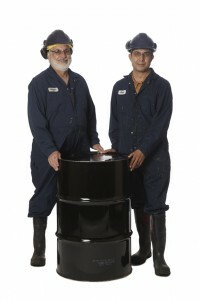 As the core of our business, our new steel, poly and reconditioned drums have multiple uses in multiple industries. We ensure the integrity of these drums through ISO registrations and stringent quality control. Packaging deemed not suitable for reconditioning is cleaned and sent to approved recyclers rather than our landfills. From liquid sugars and pie fillings to mining materials and fuel, Great Western Containers provides top quality packaging for your top quality products. As always, if you require a special or unique item, we will work with you to meet your needs.